Iron oxide (Fe2O3) nanoparticles (NPs) attract the attention of clinicians for its unique magnetic and paramagnetic properties, which are exclusively used in neurodiagnostics and therapeutics among the other biomedical applications. 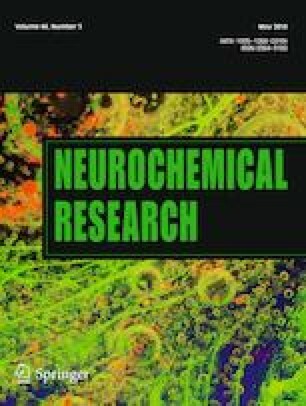 Despite numerous research findings has already proved neurotoxicity of Fe2O3-NPs, factors affecting neurobehaviour has not been elucidated. In this study, mice were exposed to Fe2O3-NPs (25 and 50 mg/kg body weight) by oral intubation daily for 30 days. It was observed that Fe2O3-NPs remarkably impair motor coordination and memory. In the treated brain regions, mitochondrial damage, depleted energy level and decreased ATPase (Mg2+, Ca2+ and Na+/K+) activities were observed. Disturbed ion homeostasis and axonal demyelination in the treated brain regions contributes to poor motor coordination. Increased intracellular calcium ([Ca2+]i) and decreased expression of growth associated protein 43 (GAP43) impairs vesicular exocytosis could result in insufficient signal between neurons. In addition, levels of dopamine (DA), norepinephrine (NE) and epinephrine (EP) were found to be altered in the subjected brain regions in correspondence to the expression of monoamine oxidases (MAO). Along with all these factors, over expression of glial fibrillary acidic protein (GFAP) confirms the neuronal damage, suggesting the evidences for behavioural changes. The online version of this article ( https://doi.org/10.1007/s11064-019-02774-9) contains supplementary material, which is available to authorized users. Vijayprakash Manickam and Vasanth Dhakshinamoorthy have equally contributed to this research work. The authors would like to acknowledge Sophisticated Analytical Instrument Facility, All India Institute of Medical science (AIIMS), New Delhi, for the technical assistance in transmission electron microscopy. The authors are also grateful to Mr. Monojit Bhattacharjee, Bharathiar University, Coimbatore, for his assistance in HPLC analysis. Vijayprakash Manickam acknowledges the UGC-BSR fellowship (UGC-BSR-No.F.7-25/2007) funded by UGC-BSR, New Delhi, India. We also thank the UGC-SAP DRS II (F-3-30/2013), DST FIST (SR/FST/LSI-618/2014) and DST-SERB (EMR/2014/000600), New Delhi, India for their partial financial assistance. All procedures performed in this study involving animals were in accordance with the ethical standards of the institution or practice at which the studies were conducted.